We’ve been playing with Scion FR-Ss since the day they launched (actually, Pete got to test the pre-production version in Japan), and as much fun as this car is in stock form or with basic bolt-ons, the time has finally come for us to get a proper taste of boost. 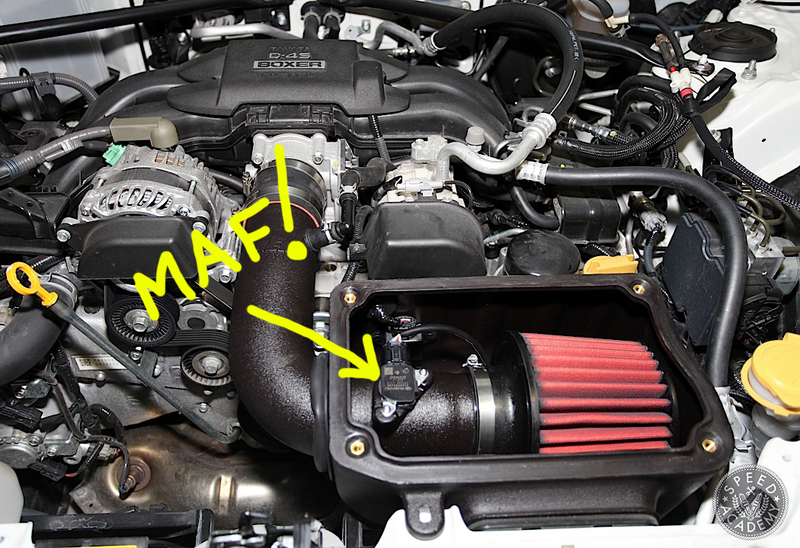 There are a lot of interesting forced induction kits on the market for the FA20 engine in the FR-S and its Toyota and Subaru cousins, and each kit has its own set of pros and cons. 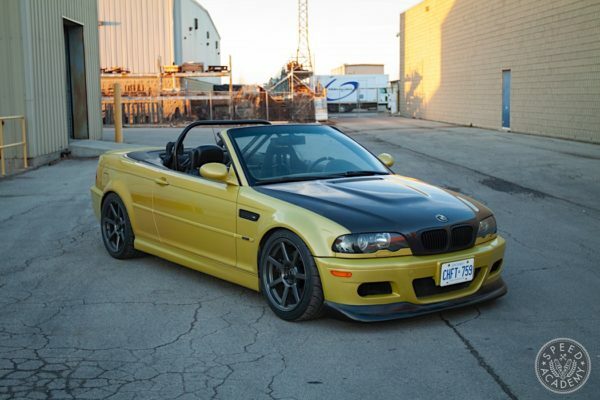 For us the highest priority by far is reliability, since the Ontario1500 is about as gruelling a torture test as a road legal car will ever be subjected to. 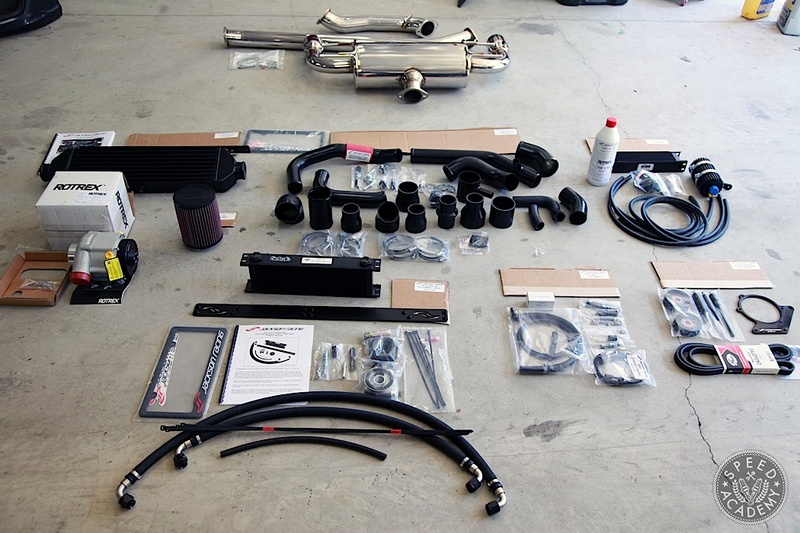 Seven straight days of racing on six different tracks around Ontario along with 1,500 kilometres of commuting between tracks is going to test every facet of an aftermarket solution to adding forced induction to the FR-S, and that’s exactly why we opted for Jackson Racing‘s supercharger kit and oil cooler kit. 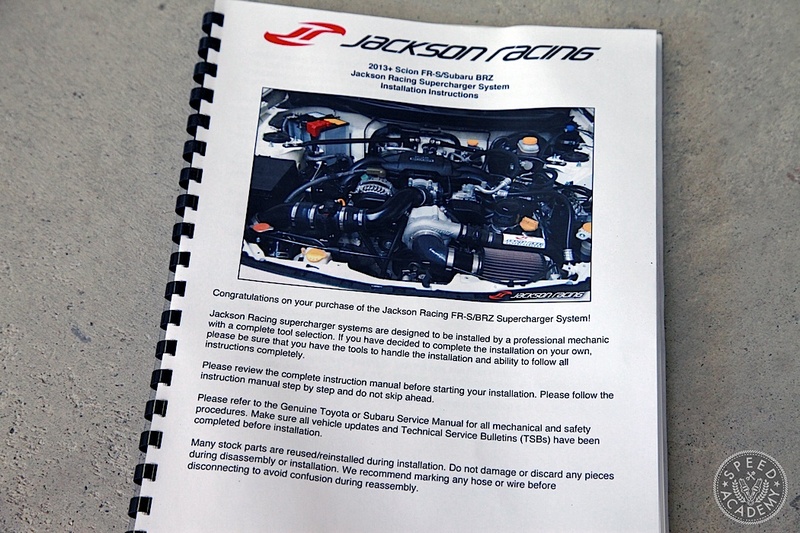 At the heart of the Jackson Racing supercharger kit is a Rotrex centrifugal supercharger. 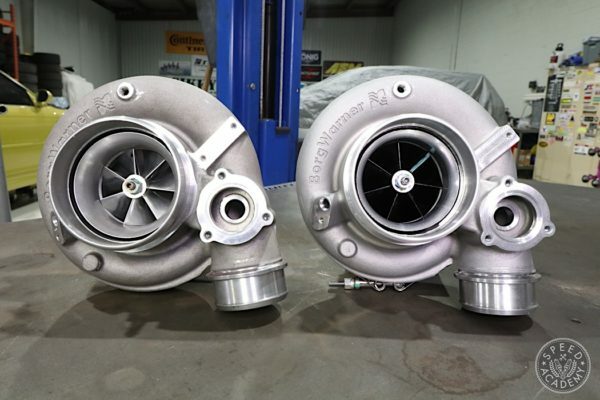 For the FR-S kit, Oscar Jackson Sr., President and Chief Engineer at Jackson Racing, and his team including his son Oscar Jackson Jr. selected the C30-94 Rotrex supercharger, which is capable of air flow up to 0.39 kg/s and impeller speeds up to 100,000 rpm. 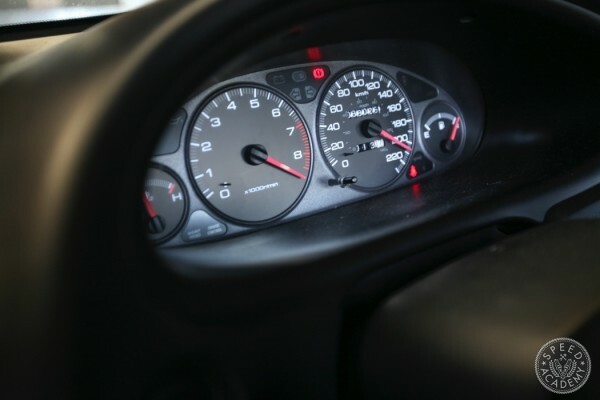 The C30-94 works best on engines between 1.8 and 3.0 litres of displacement and is capable of producing up to 425-hp. 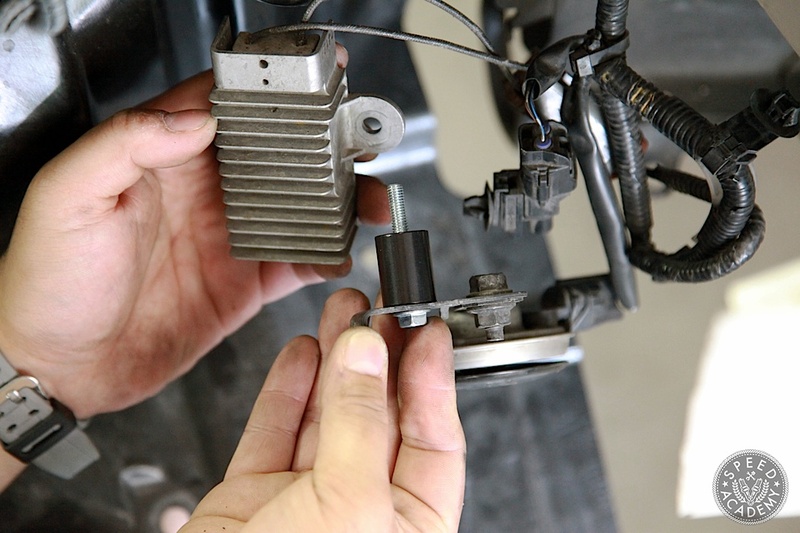 The efficiency and incredible impeller speeds of Rotrex superchargers stem from the patented high-speed planetary traction drive that uses three planetary rollers fixed in place 120 degrees from each other and enclosed within an annulus or “drum” that is turned by the input shaft via the serpentine drivebelt. The relative size of the annulus/drum and planetary rollers inside it is how a Rotrex supercharger creates its very high overdrive and compressor shaft speed. In Oscar Sr.’s words, “When the annulus/drum rotates, its larger surface area moves across the smaller planets, accelerating the speed of the planets in the process. These planets in turn have a greater surface area than the output shaft that turns the compressor wheel. 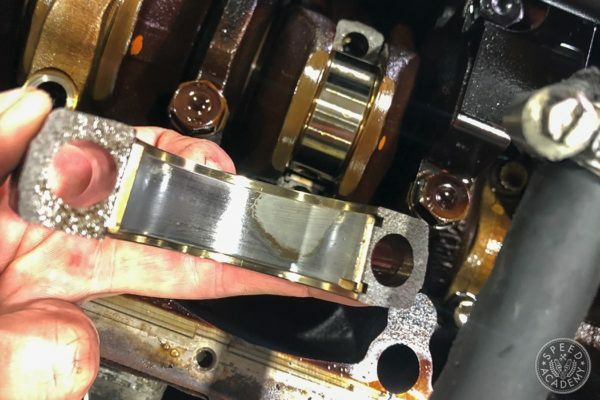 It is these two multiplication factors that give the Rotrex its high overdrive ratio.” This makes overdrive factors as high as 12.7:1 possible, compared to most centrifugal superchargers that run at overdrives of 2:1 or 3:1. 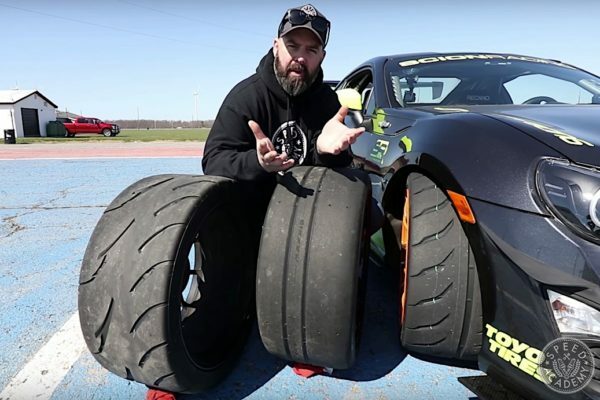 What this means is that if a supercharged engine makes 10 psi at maximum rpm, the Rotrex-powered engine will have more than four times the airflow up to the point where both superchargers make the same 10 psi of boost. 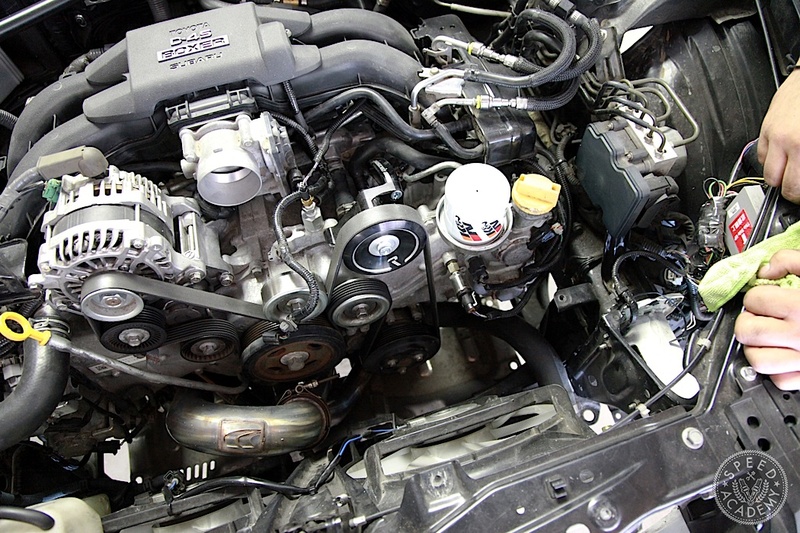 So it’s the high overdrive system that allows the Rotrex to use smaller, more efficient low-pressure ratio compressor designs, very much like a turbo would use, making it easier to install in a tight engine bay like the FR-S’s. 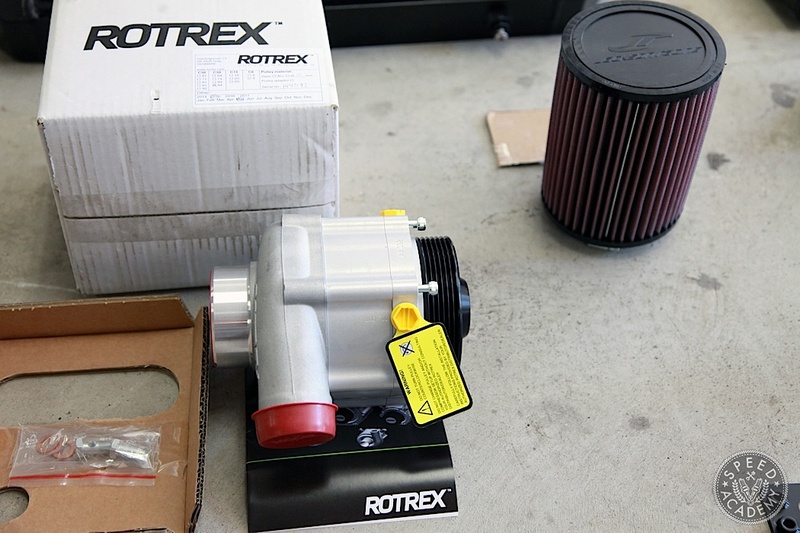 We also love the fact that the Rotrex supercharger uses its own self-contained oil system and includes a high-quality Setrab oil cooler, meaning we don’t have to tap into the oil pan and the engine oil isn’t being asked to absorb any extra thermal load. More on this later. 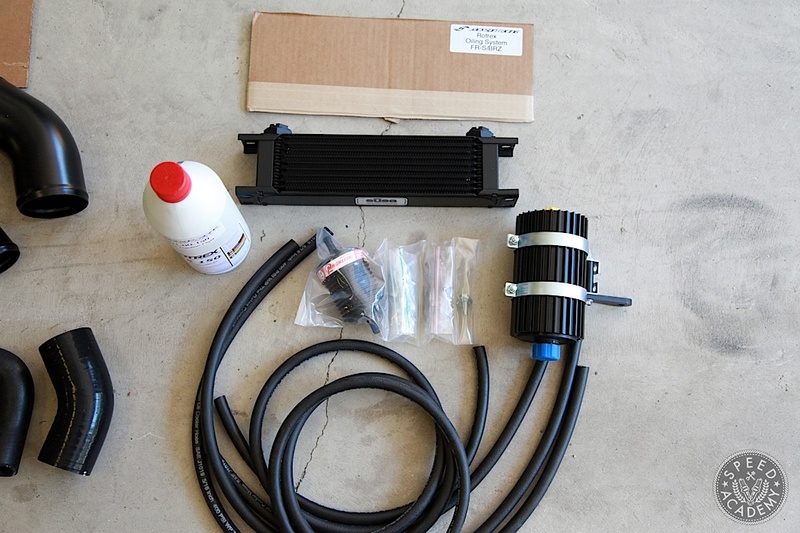 Because our FR-S is going to take a week-long track beating, we also ordered Jackson Racing’s track engine oil cooler kit, which has been specifically sized to cool the engine oil in race conditions and in conjunction with their supercharger kit. The Perrin oil cooler we had on the car last year did a good job of controlling temps on a NA engine, but for forced induction the much wider Setrab 15-row oil cooler used in the JR kit offers far greater cooling capacity. 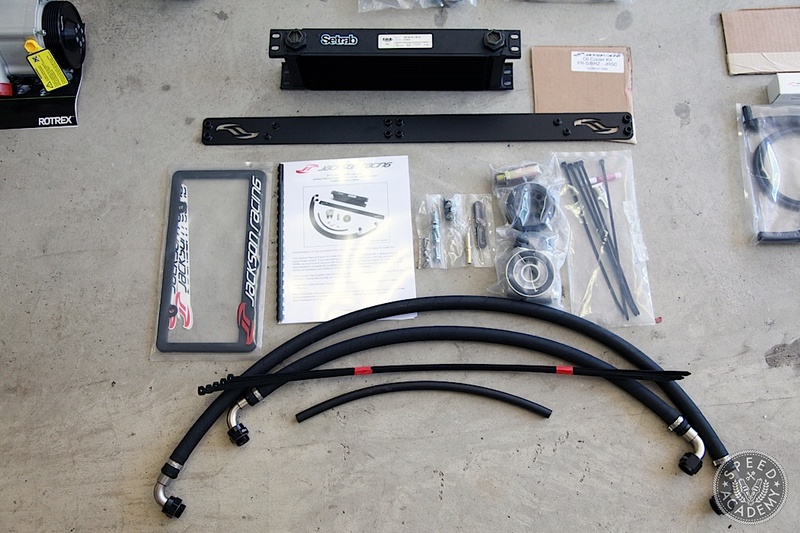 According to Jackson Racing, this kit keeps oil temps below 240ºF on track, and it also comes with a dual oil cooler mount system for both the Rotrex oil cooler and the engine oil cooler. It’s a super clean design you’ll see more of when we get to that step in the installation process outlined below. It was a bit intimidating when we laid the kit out on the floor to snap pics and grab video footage (our video covering the install is at the end of this story), but once we got started and simply followed the instructions in the extremely detailed 27-page Manual in a step-by-step fashion it all came together beautifully. 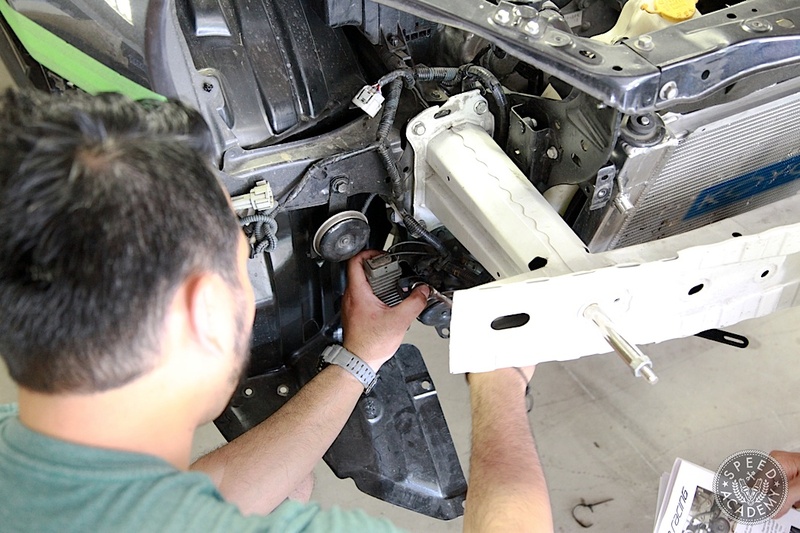 The first steps are to disconnect the battery, put the car up and jack stands, and remove the front bumper, all of which we’d already done in anticipation of this job and because we were working on a custom front splitter. 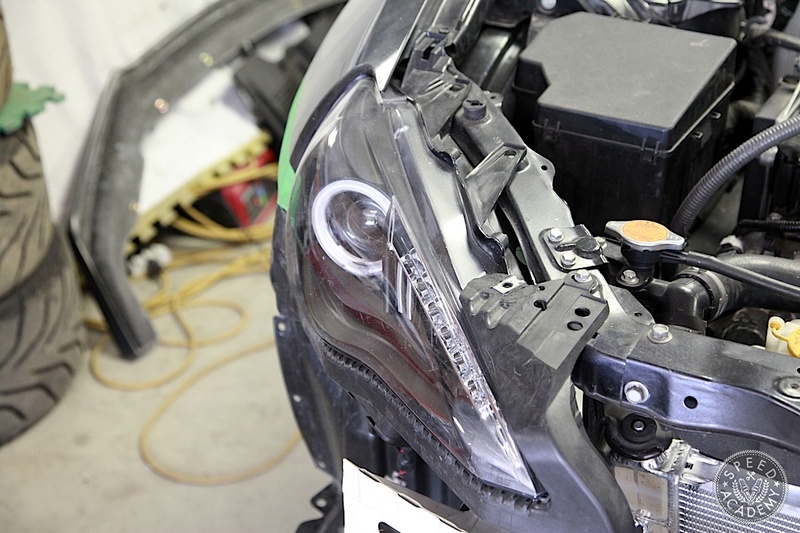 This meant we could jump ahead to Step 4, which is to remove the passenger side headlight to make it easier to install the intercooler piping later on in the process. The instructions here also require removing the OE air intake snorkel and air deflector shield, but those pieces were gone when we adopted the car so on to the next step. 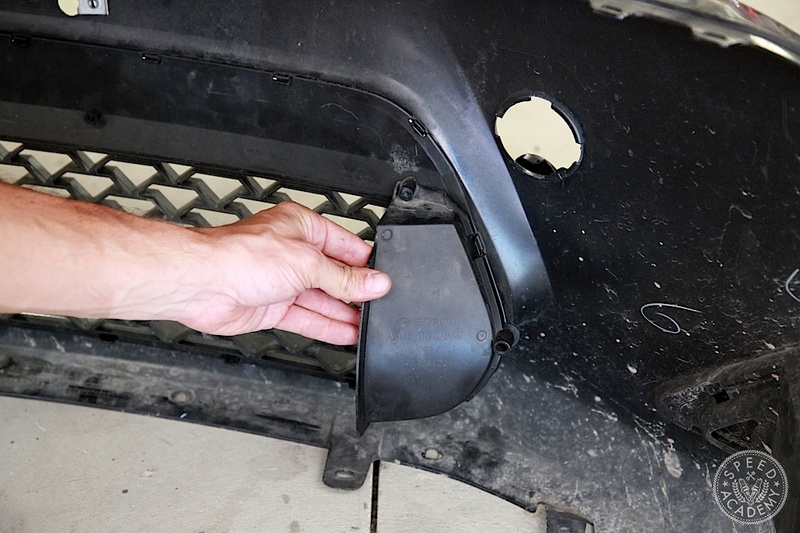 Step 5 is removing the air guides on either side of the main radiator inlet on the backside of the front bumper cover. This step is done to make room for the front mount intercooler piping. 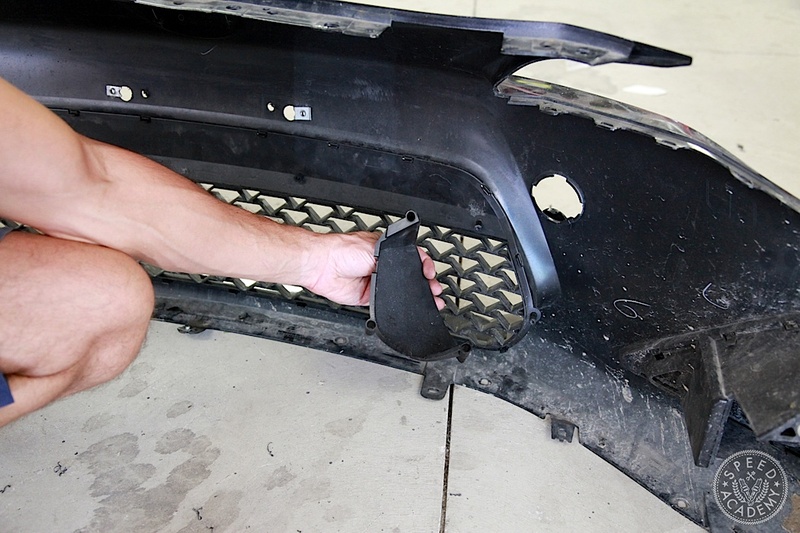 Steps 6 and 7 involve removing the lower radiator panel, but ours was already removed because of the custom front splitter we were working on. On to Steps 8 and 9 which involve relocating the horn and installing a stud in its location that the intercooler will mount to. We also have no A/C system in our car, which made it easier to reroute the wiring in this area as per the instructions. So far so good! 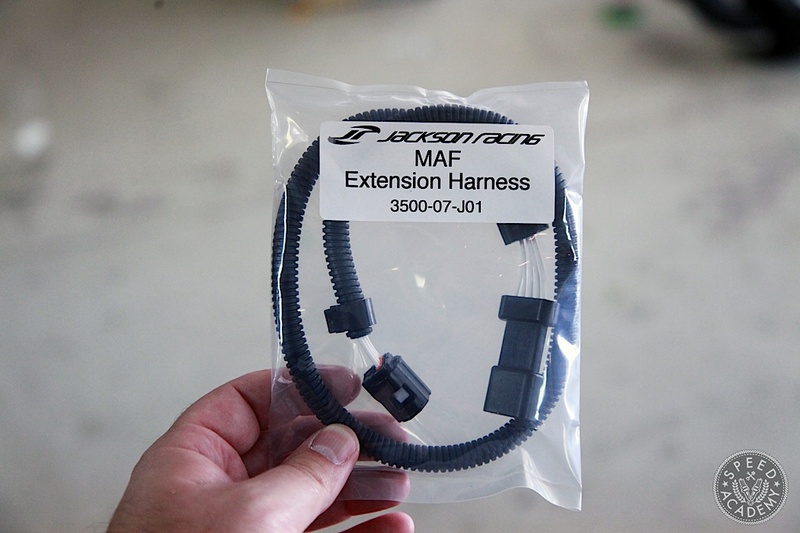 Step 10 is to remove the MAF sensor, which in our case was a bit different than described in the manual since we were dealing with an AEM intake rather than the OE system. Either way this is a quick and easy step. 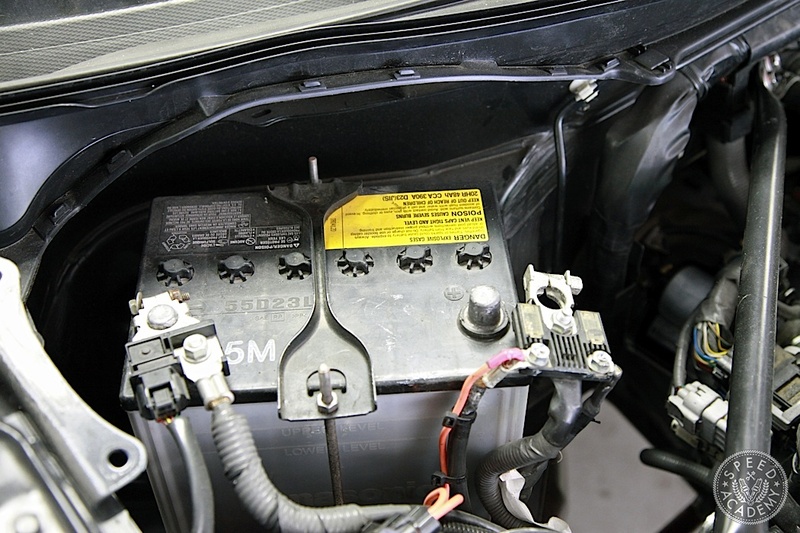 Just remove the small bolts that hold it to the intake tube and unplug the wiring from the harness. 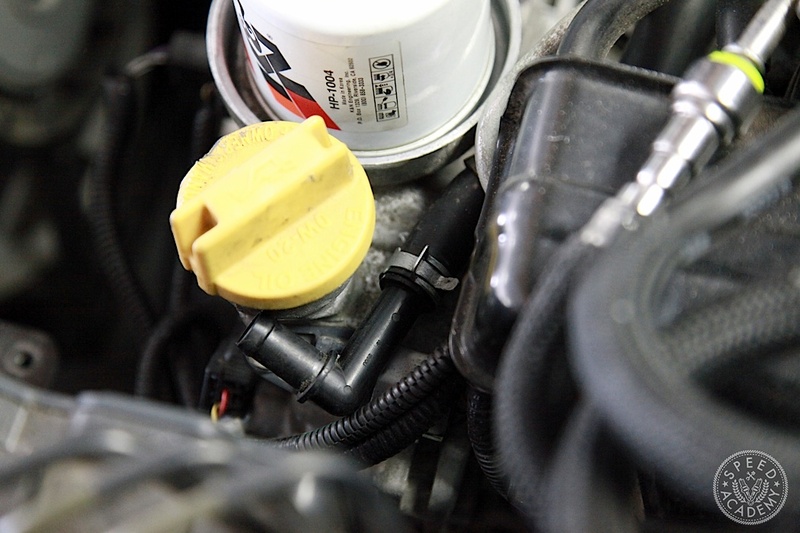 Step 11 requires rerouting the valve cover vent hose that recirculates to the intake. 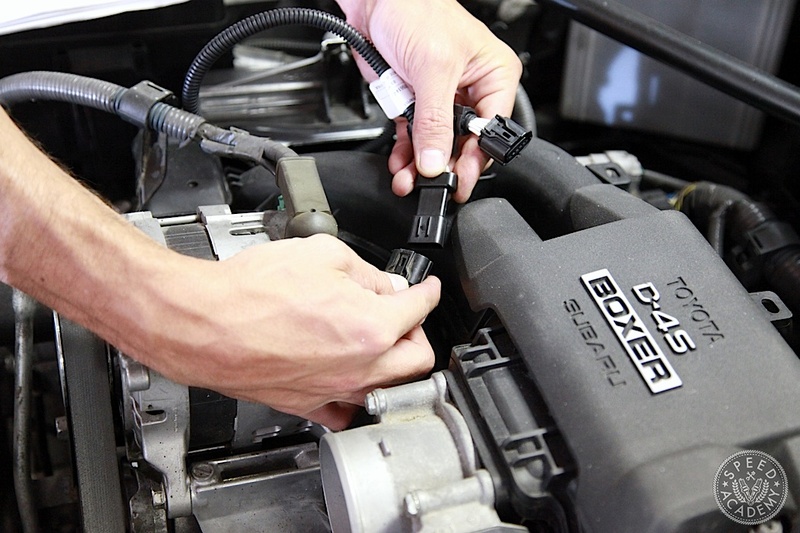 Since we don’t have an A/C compressor to work around rerouting this line was simplified, but the trick us to route it under the fuel lines such that the 90-degree fitting on the end of the hose ends up sitting on the driver’s side of the oil filler neck. Step 12 is to remove the air intake system entirely, which in our case was simplified by the fact that we didn’t have the OE sound tube or hole in the firewall to deal with. Step 13 involves removing and trimming the plastic covers on the alternator and A/C compressor to make room for the supercharger, but those covers are for show and we’re all about the go, so they’re long gone. 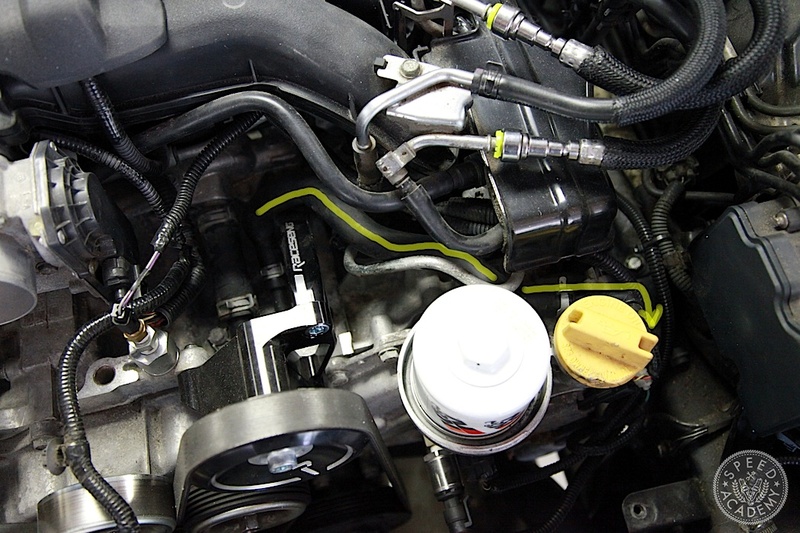 That meant we could jump ahead to Step 14, which is to reroute the MAF sensor wiring under the throttle body, plugging in the Jackson Racing MAF extension harness and then routing it behind the alternator to the passenger side where it’ll be mated up with the JR MAF tube further along in the process. This guide really helped me fill in the gaps for my install. ThankS so much for the post. Race on bros!